Cameron Giles, better known worldwide as the Grammy-nominated, multiplatinum-selling rapper Cam’ron, is one of the few artists in hip-hop who has managed to remain relevant for nearly as long as the music has existed. Born and raised in Harlem, Cam’ron epitomizes the unmatched entrepreneurial spirit of the neighborhood between the 110th and 155th blocks of Upper Manhattan, having successfully tackled the roles of hip-hop artist, director, actor, screenwriter, designer, and entrepreneur with finesse. He is the de facto leader and founding member of The Diplomats, arguably one of the most influential crews in hip-hop, that has left an indelible mark on the style, language, and swagger of both New York City and hip-hop culture. 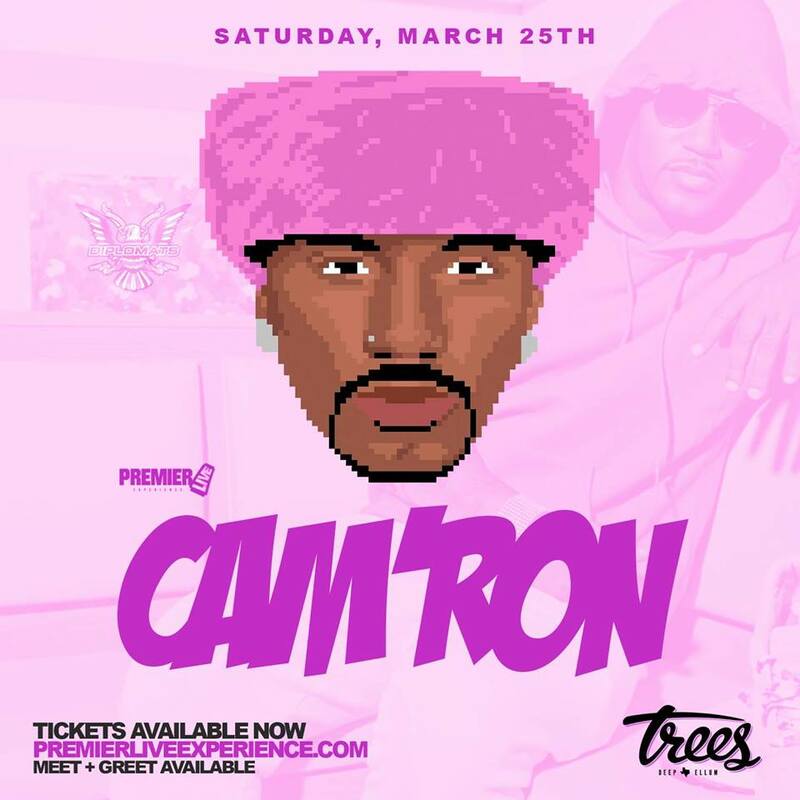 Cam’ron is undoubtedly one of the greatest anti-heroes in hip-hop: he’s the man who spawned a thousand memes, drove an unmistakable “Laffy Taffy” Range Rover, wore head-to-toe pink mink in the 2002 Mercedes Benz NY Fashion Week, told Anderson Cooper he wouldn’t snitch on a hypothetical serial killer neighbor, humiliated Bill O’Reilly on his own show, closed out Mark McNairy’s runway show wearing custom Dipset capes, and whose face unofficially re-appropriated on everything from orthopedic shoes to Valentine’s Day cards. Cam’ron is truly one of a kind, a paradoxical living legend in pop culture whose point of view as hysterical as it is harrowing and accessible as it is absurd. Unapologetic and unstoppable, Killa Cam is back with a vengeance.